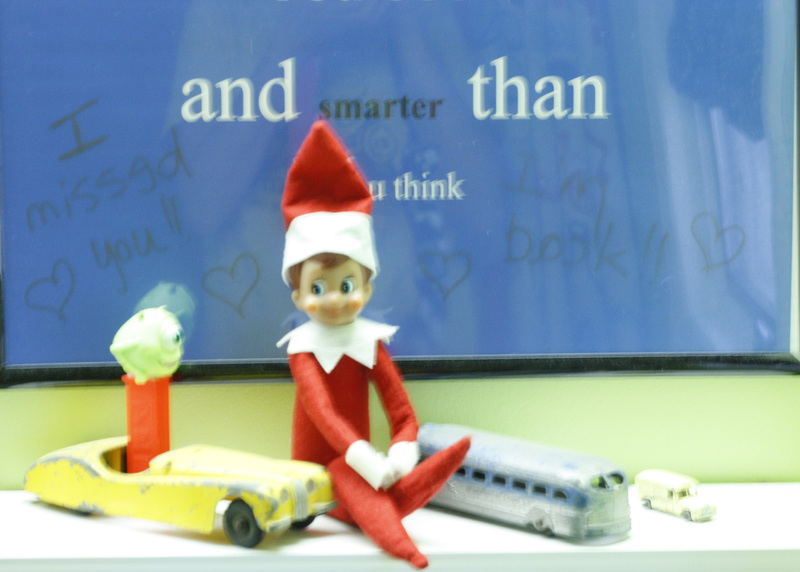 Our elf on the shelf, Buddy, came back a week ago when we celebrated Thanksgiving. Matthew and Olivia were so excited to see him again…and Gabe was excited to get in on the fun. He showed up on Sunday in the kids’ bathroom. He had written a message for them! 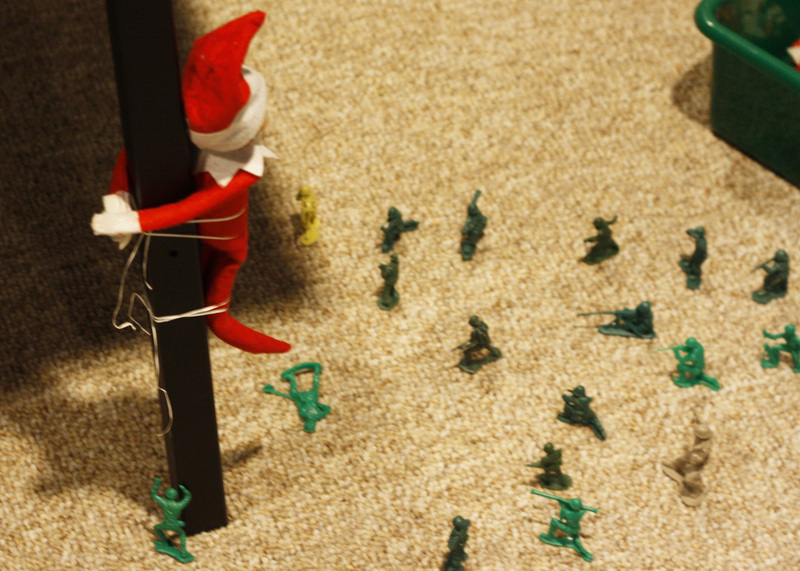 The soldiers weren’t too happy that he invaded their space so they tied him up to show him who’s boss! The next day, he showed up in a toilet paper roll after he had rolled down the stairs! On the toilet paper roll, he had written “Great Wolf Lodge” because we were leaving that day. Unfortunately, I ran out of time before I left for work and didn’t get a picture. Matt got home early and cleaned it all up before we left! Buddy showed up at Great Wolf Lodge the next morning in a pair of snowshoes that were hanging on the wall. I didn’t have my camera then either. Double fail. 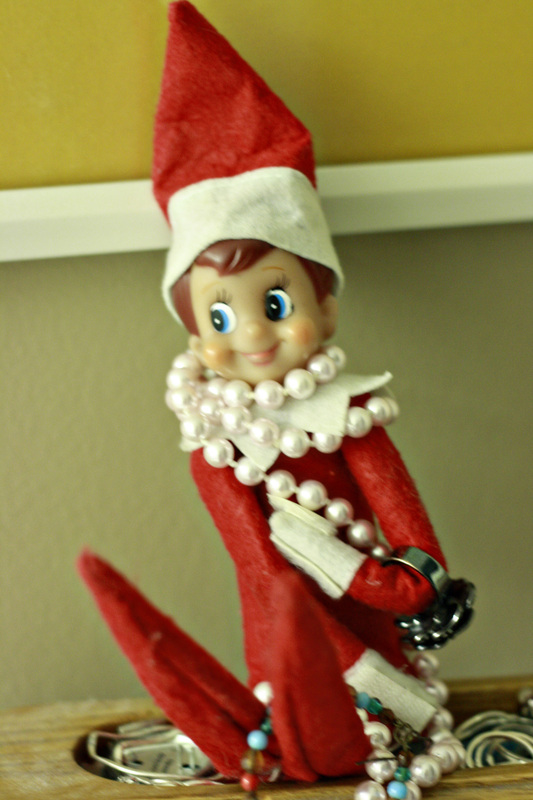 He was all tangled up in my jewelry the next night. Silly guy! 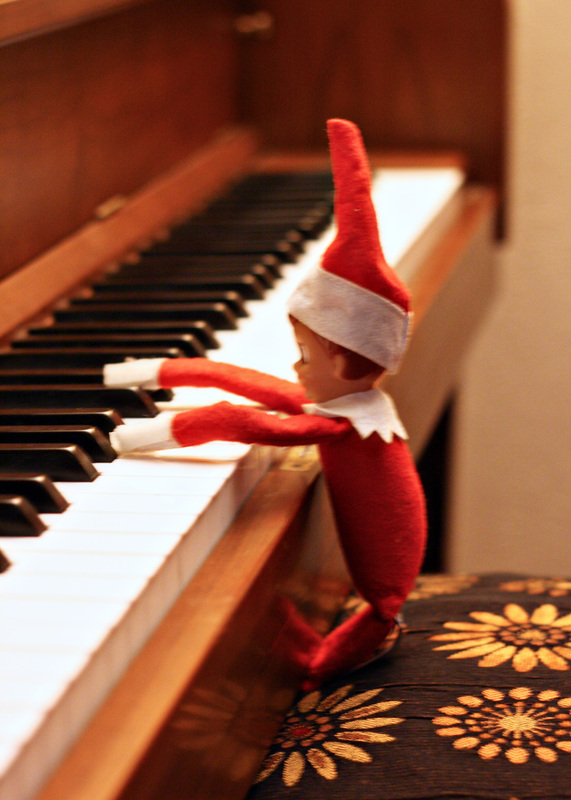 He decided he was missing singing with his fellow elves and had a little piano time the next night. Rudolph is his favorite. 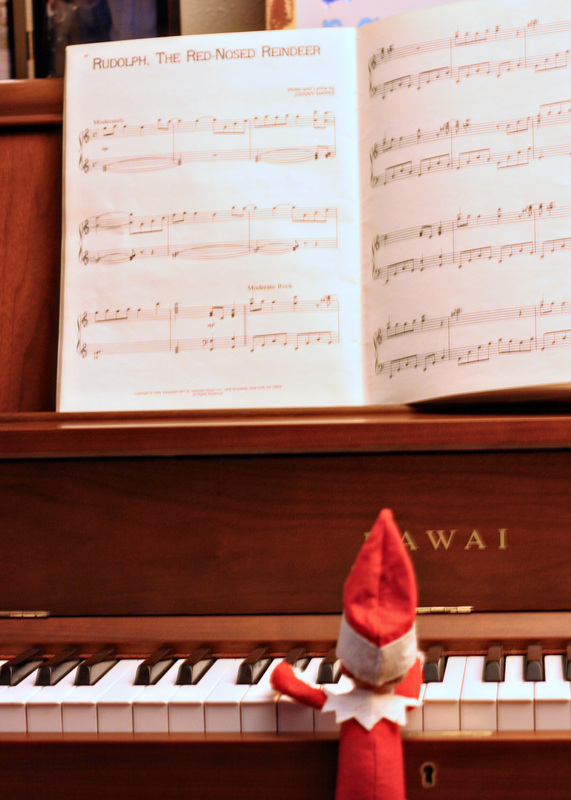 The best way to spread Christmas cheer is singing loud for all to hear! 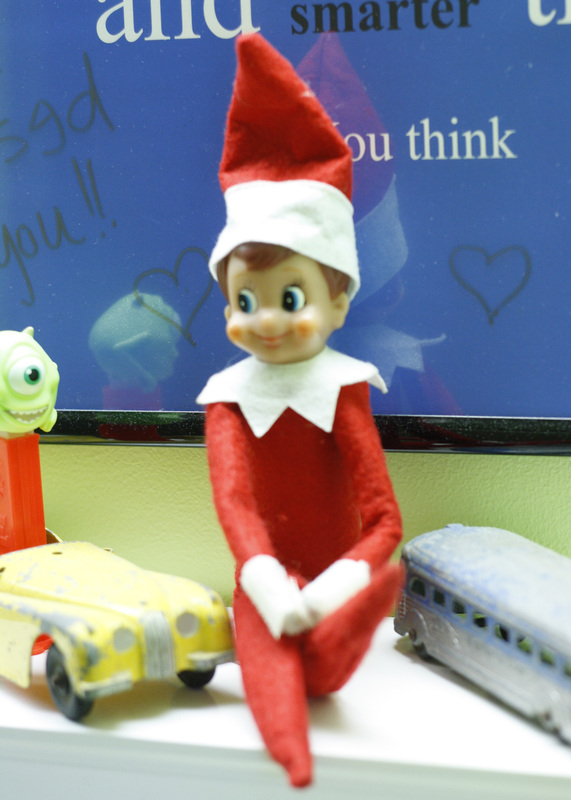 What’s your elf been up to? I love that Gabe is “in on the fun” ! 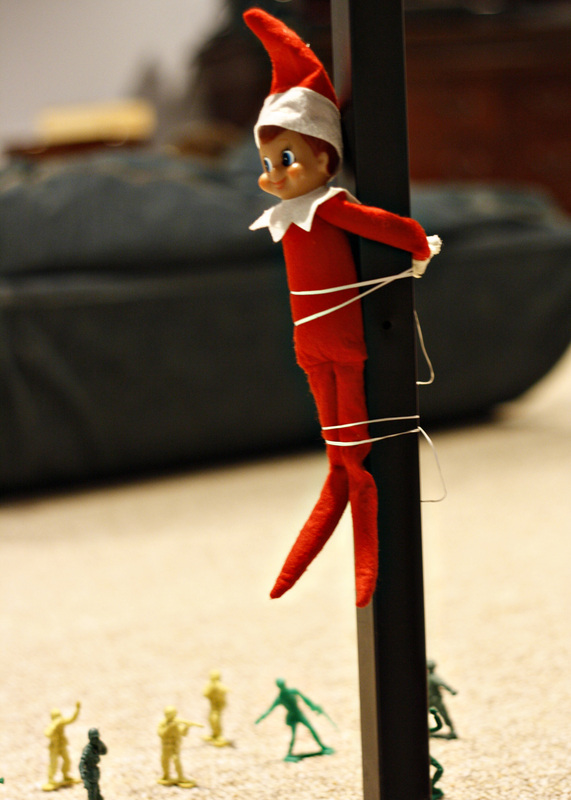 I forget how inventive you are with your elf! It makes me feel so ashamed…maybe you’re creativity will inspire me!